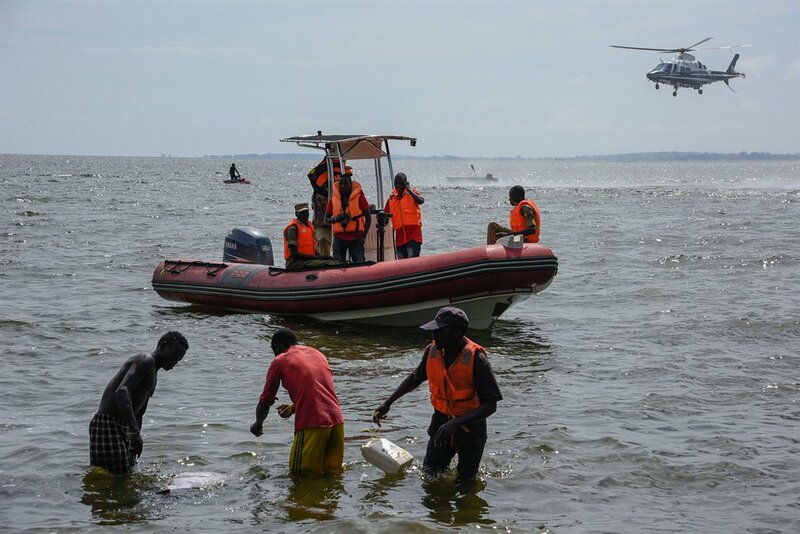 Police in Greater Masaka are searching for five people that are missing after a boat they were sailing on hit a rock and capsized on Lake Victoria in Kalangala. The incident happened on Tuesday at around 1600 hrs. According to Uganda Police Greater Masaka PRO, SP Lameck Kigozi Fishermen, Fishermen who were on the lake doing their normal business managed to rescue five, on Wednesday morning, five were still missing as joint search is on by Police marine personnel and local fishermen. Preliminary reports indicate the boat was overloaded with charcoal according to survivors.